I cannot express my excitement fully in this blog post. You guys! 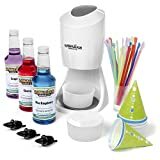 I just made the BEST Sugar Free Snow Cone Syrup recipe of all time!! I love snow cones! My family loves snow cones! They are the love of summer time for me and my kids. You know those expensive commercial snow cone machines that use a huge block of ice to disperses snow? Yeah, I HAVE ONE! See, I told you! I love snow cones! 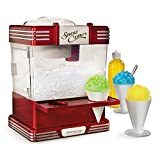 I was on a mission to make my own sugar free snow cone syrup recipe but it didn’t come easy. I have redone this recipe 3 times already because of a few failed attempts. 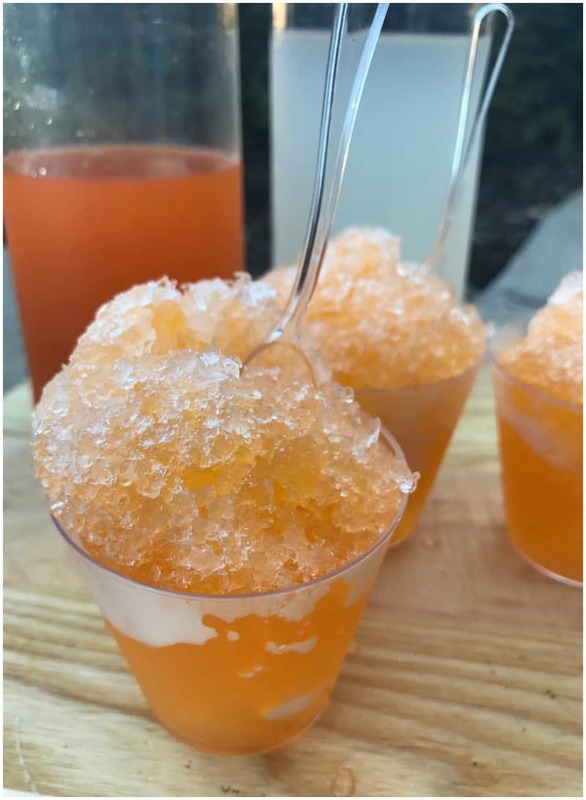 Oh and this is NOTHING like the DIY Snow Cone Syrup Recipe we made last year (not sugar free either). My family has been doing the Ketogenic diet for a while now. 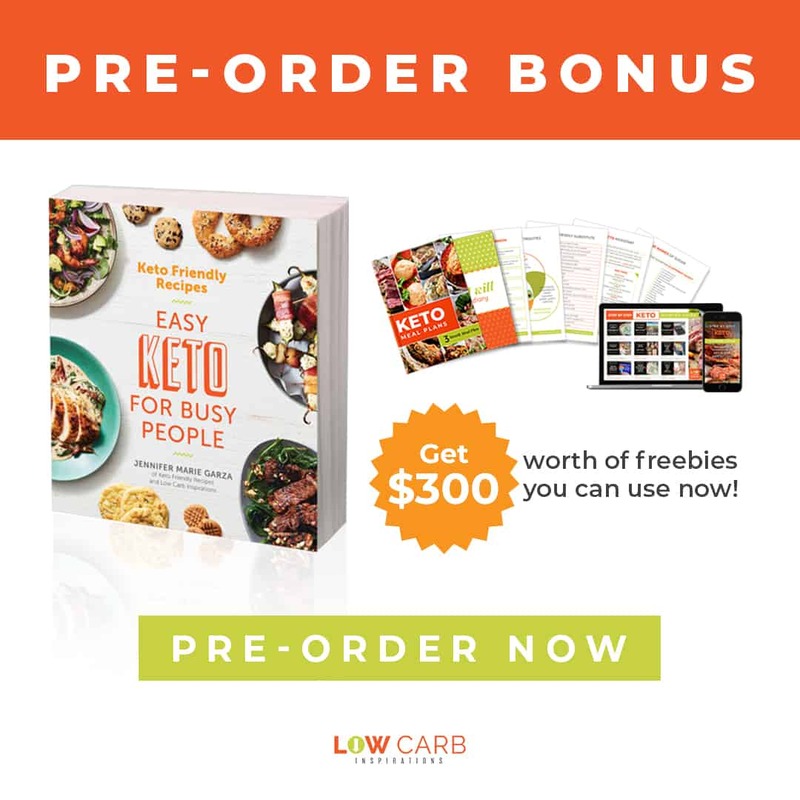 (If you want to learn more about it check out this article that explains it all: Simple Way to Start the Ketogenic Diet. We live a low carbohydrate, high-fat life so sugar free options are very important to us. That’s another reason for my excitement! 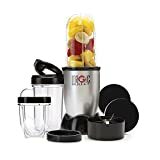 I can have something I love without the guilt or sugar hangover. Thank you, Jesus! 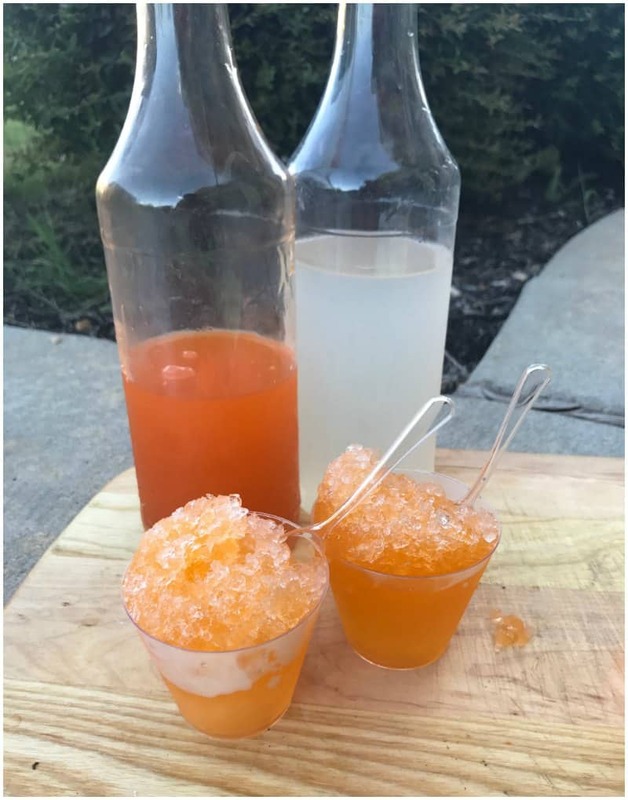 If you’ve ever had homemade snow cone syrup, you will know that nothing tops it. I can tell the difference in a homemade syrup from a store bought syrup any day. 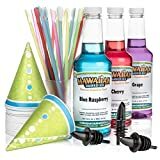 Syrups can taste stale too. This recipe I’m about to show you is super simple and delicious without that weird sugar free after taste that you sometimes get with certain sugar substitutes. Plus, it doesn’t require any cooking on the stove top either! Most syrups, you need to heat the water and sugar for it to dissolve properly, but not with this recipe. 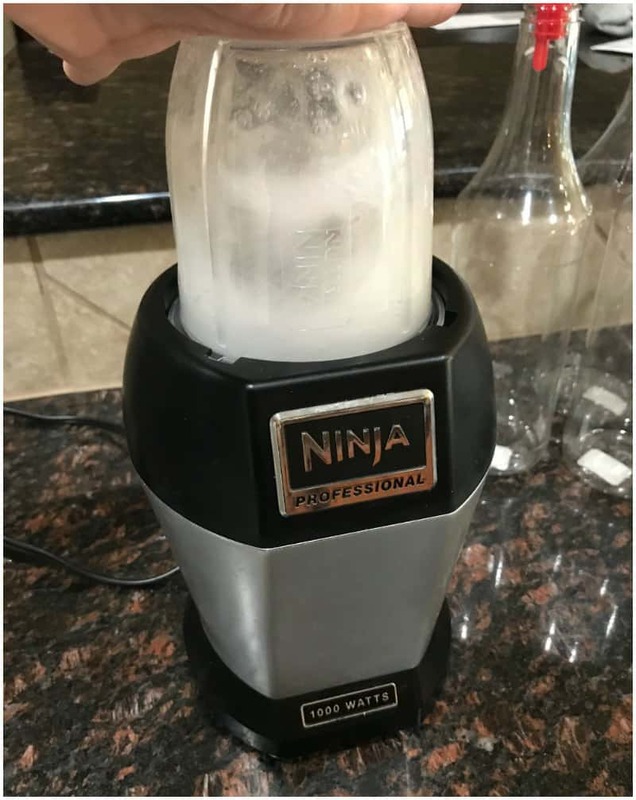 We use a blender for this one! I should call this a sugar free blender snow cone syrup! 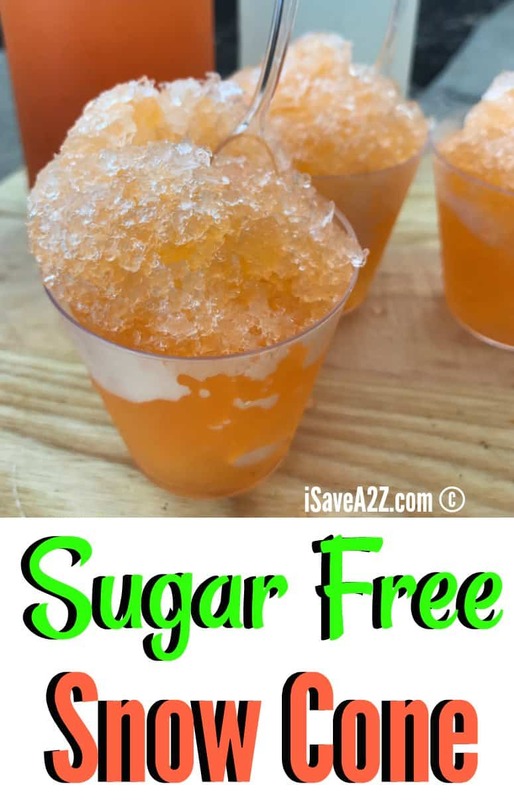 Here’s how I make this sugar free snow cone syrup recipe step by step! Plus, there will be a printable version of this recipe at the very bottom of this post so you can print it for your cookbook. Note: You should be able to find most of these ingredients at your local grocery store. Swerve tends to sell out pretty fast because of it’s popularity. I’ve had to order it from Amazon a few times. I’ve learned to stock up. 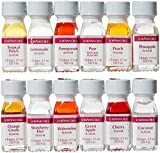 The Lorann flavor oils can be found at your local hobby store too. These will be found in the candy making section. Keep in mind that these oils are super potent. A little bit goes a long way. 1. 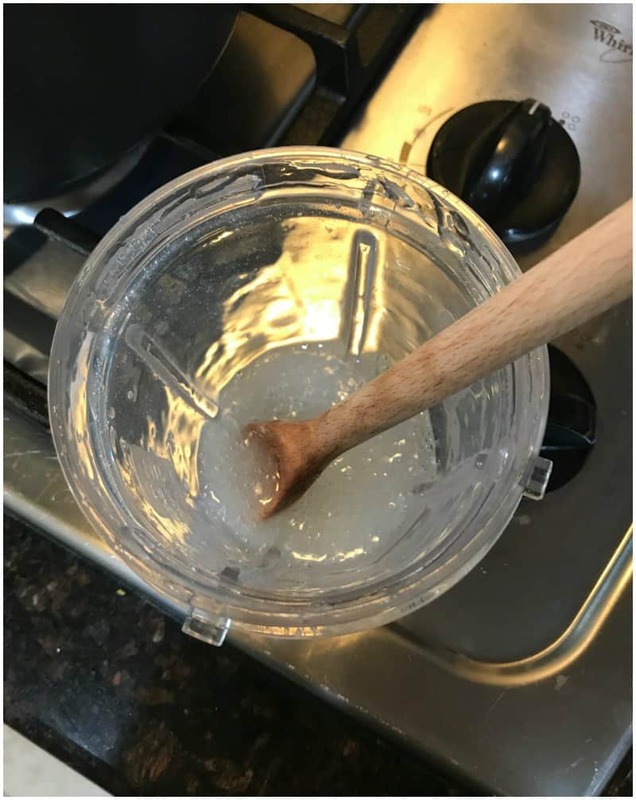 Add 1 teaspoon of Xantham Gum to 1/4 cup of water. 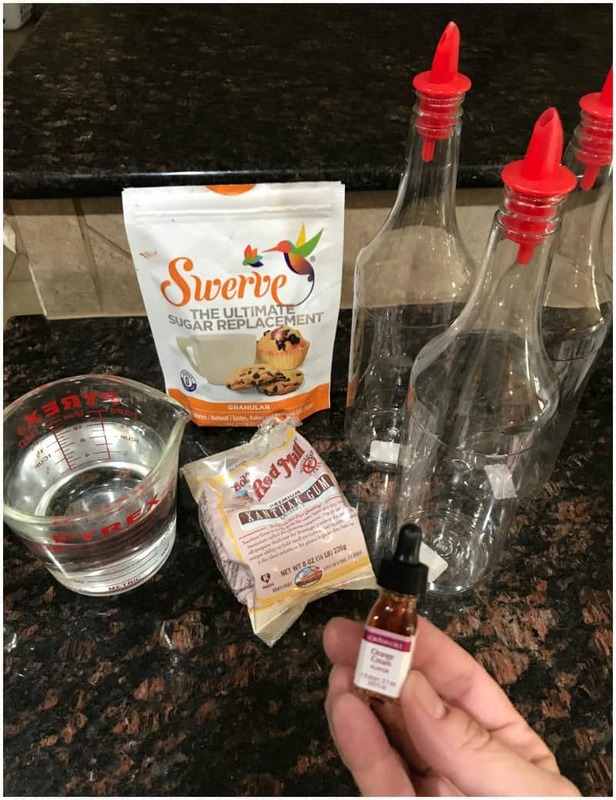 Blend these ingredients on high speed until it has fully combined. This is what creates the thickness in the syrup. You can see what it looks like in the video I’ve attached. It’s very important you do this step first. The Xantham Gum must dissolve in the water to create the thick syrup before you add the remaining ingredients. 3. Blend all the ingredients on high for a few minutes until they all combine fully. It’s good to note that the combination of these ingredients will create a super white foam like mixture. It will become clear as the ingredients settle. You can add a bit more of the Lorann flavor oils if you prefer. I find some of them to be really powerful and some to be less powerful than others. Be sure to take a little taste of your syrup to determine if you need to add a few more drops to adjust it to your liking. Normally the snow cone syrups I make have no food coloring in them. I prefer not to add extra coloring if I don’t have to. I did add an orange food coloring just for the visual effect to show you that you can add it if you want to but you don’t have to. As you can see in the photos, I have one clear and one orange color. This snow cone syrup recipe doesn’t require any heating of liquids at all. This is not typical of the normal sugar filled snow cone syrups. This is what caused all of my failed recipes. They do require you keep them refrigerated to preserve them. I have had it in my refrigerator for two weeks and it still tastes amazing! I probably wouldn’t let it go longer than a month though. Mine have never lasted that long with my kids around anyway. 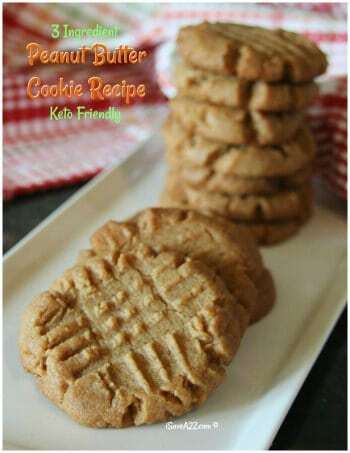 This recipe makes about 8 servings! It might be a bit different to you depending on how much syrup you prefer to add and how big you make your snow cones. The beauty of this recipe is that it only takes a few minutes to make a new batch with no wait time what so ever. You can double this recipe too! 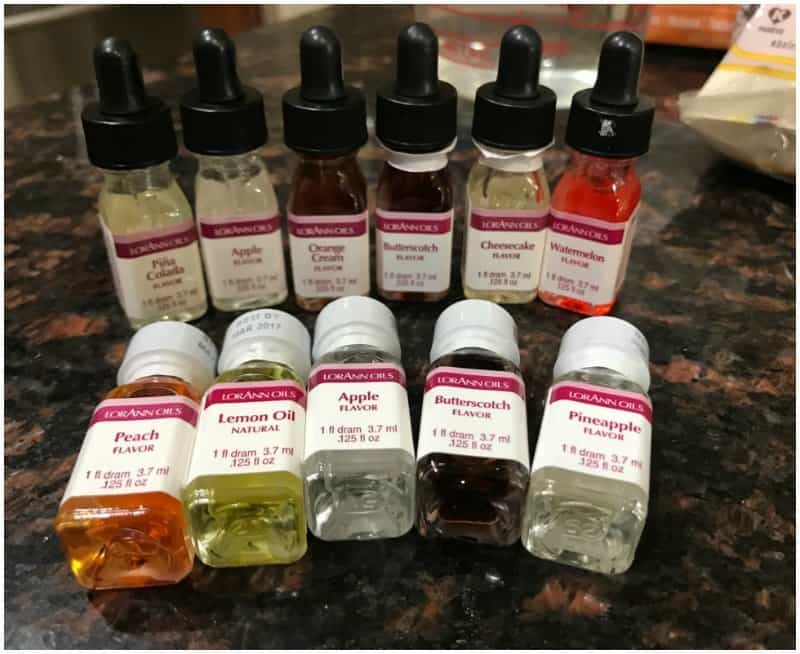 The Lorann oils come in so many different flavors! Oh, the flavors you can combine! Oh my gosh, the list could go on and on! Just look at all the different Lorann flavors they sell here. 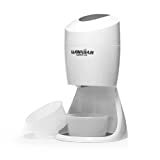 They make some really inexpensive snow cone machines nowadays but you can get crushed ice from your blender too! 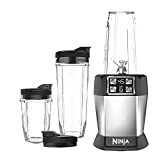 In the video you can see where I used my Nutri Ninja blender! That little machine is super powerful! I can handle crushing ice. Don’t let the small size fool you. 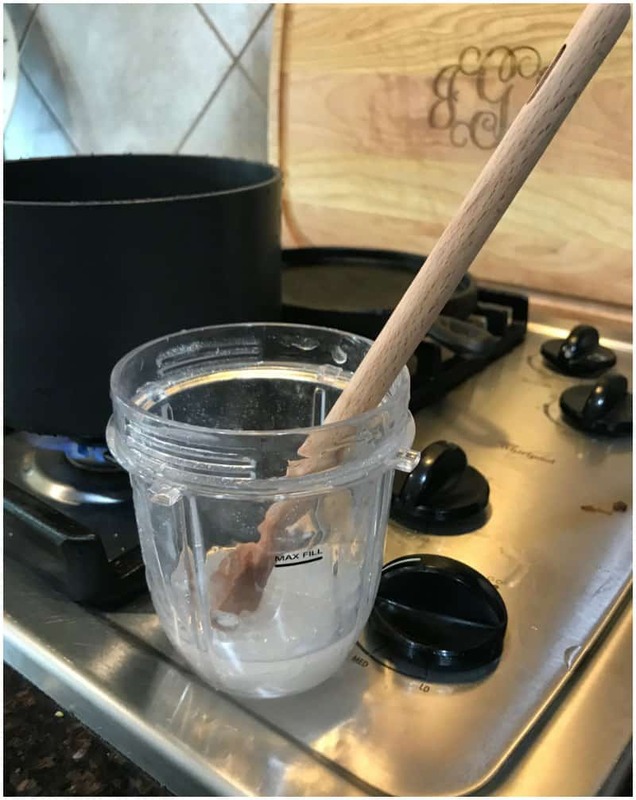 Also, I’m not sure if you notice or not but in the photo where I measured out the 1 teaspoon of Xantham Gum, I used a long handled wooden spoon. These Long Handle Wooden Measuring Spoons were given to me as a gift just about a year ago and I use them all the time! You might keep them in mind for a holiday gift for someone who loves to cook or bake. They are amazing! 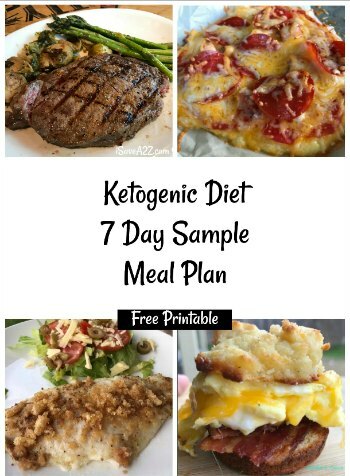 We created a Meal plan for Keto Friendly Freezer Meals! Check out our Facebook live showing how we made 6 meals in under 1 hour! Add 1 teaspoon of Xantham Gum to 1/4 cup of water. Blend these ingredients on high speed until it has fully combined. This is what creates the thickness in the syrup. You can see what it looks like in the video I've attached. It's very important you do this step first. The Xantham Gum must dissolve in the water to create the thick syrup before you add the remaining ingredients. Blend all the ingredients on high for a few minutes until they all combine fully. It's good to note that the combination of these ingredients will create a super white foam like mixture. It will become clear as the ingredients settle. Normally the snow cone syrups I make have no food coloring in them. I prefer not to add extra coloring if I don't have to. I did add an orange food coloring just for the visual effect to show you that you can add it if you want to but you don't have to. As you can see in the photos, I have one clear and one orange color. 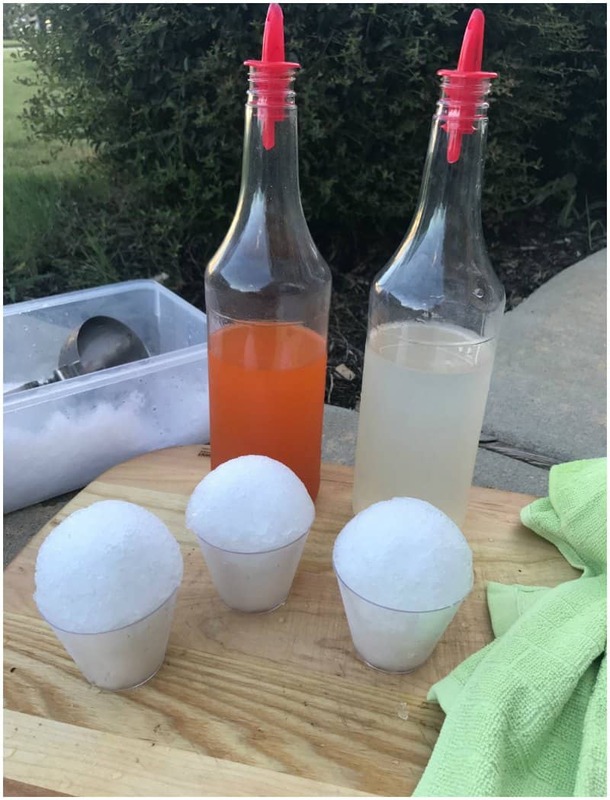 This snow cone syrup recipe doesn't require any heating of liquids at all. They do require you keep them refrigerated to preserve them. I have had it in my refrigerator for two weeks and it still tastes amazing! This recipe makes about 8 servings! 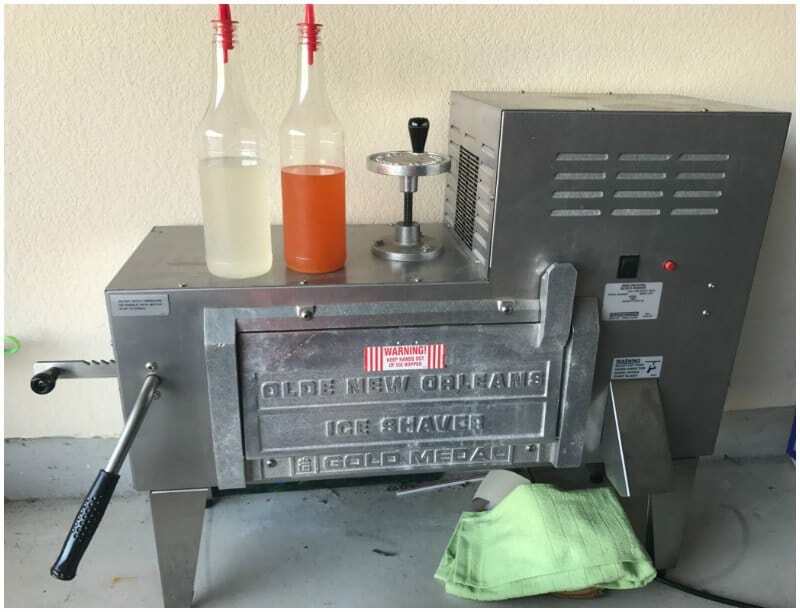 It might be a bit different to you depending on how much syrup you prefer to add and how big you make your snow cones. The beauty of this recipe is that it only takes a few minutes to make a new batch with no wait time what so ever. 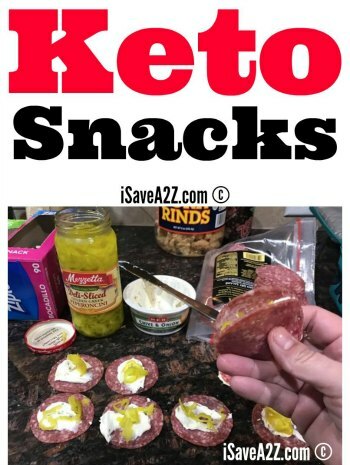 By Jennifer on July 20, 2017 Drinks, Keto Dessert Recipes, Keto Friendly Recipes, Recipes, Smoothie, Weight Watchers. Yer the bomb! Made my first batch and I’m sooo happy! This recipe just made my snow cone obsessed life very happy. I share snow cone love with my granddaughter who, like me, will choose a snow cone over any dessert on the planet! !